Another Big Star to Join The Cast of NBC’s The Office!!! Find Out Who!!! Seems like a trend here over at The Office in that they announce a big star to come on board the day before an episode is aired. Last week it was Ricky Gervais. This time it seems that it will be America’s favorite “ANCHORMAN”. That’s right. Will Ferrell will star in four upcoming episodes of The Office. He will be playing a Sabre Branch Manager. Have we seen Steve Carrell and Will Ferrell together since Anchorman?? UNIVERSAL CITY, Calif. – January 26, 2011 – Comedic actor/producer/writer Will Ferrell will guest-star over an arc of episodes on NBC’s Emmy Award-winning “The Office” (Thursdays, 9-9:30 p.m. ET) as a branch manager who arrives from the home office and proves to be just as inappropriate as Michael (Golden Globe winner Steve Carell). Ferrell and partner Adam McKay launched “Funny or Die,” a well-known comedy video website. He is also executive producer of the comedy series “Eastbound & Down,” and “Funny or Die Presents” with Gary Sanchez Productions for HBO. Looking forward to the comedy. 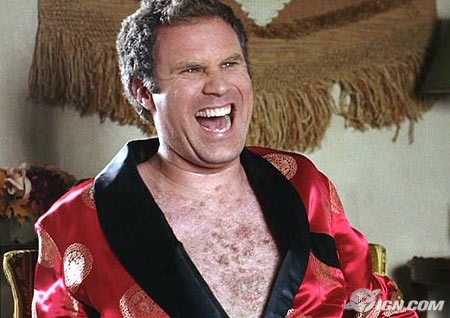 Will Ferrell Will Return in ‘Anchorman 2’!!! Catherine Tate Returning to The Office!!! This entry was posted on Thursday, January 27th, 2011 at 10:40 am	and is filed under News. You can follow any responses to this entry through the RSS 2.0 feed. You can skip to the end and leave a response. Pinging is currently not allowed. « MASSIVE BLURAY SALE AT AMAZON!!!! [during a shootout with McClane, who is barefoot] Karl, schieß auf das fenster.